Although I am not a vegan nor anywhere close to embracing veganism, I have recently developed an appreciation towards vegan treats (mainly soy-free). I have been cutting back on my consumption of eggs due to the latest health scare. They are also easier to make and the ingredients are more accessible. Vegan or not, I am always open to a healthier and less caloric alternative. This isn’t your regular brownie recipe. Well, most vegan brownie recipes are not usually ordinary. I’ve seen vegan brownie recipes with kale, squash, etc. I’ve seen people use black beans for a gluten-free option. I contemplated this idea but since I’ve been using black beans as baking marbles on numerous occasions, I felt it was best to freeze the idea for the time being.If you have a gluten allergy or intolerance of some kind, the black bean option is at your disposal. Although these are not gourmet brownies, the flavor and gooey texture is just as such. I almost neglected to mention that not only are these brownies soy-free but they are sugar-free as well. Having your cake and eating it too is not a phrase I throw around lightly. Growing up using a regular brownie recipe, I have become accustomed to dense, fudgy and soft brownies; not light, cakey and dry. Then why is emulating a traditional brownie recipe that simply consists of a few simple ingredients so difficult? It’s mainly due to the egg, which emulsifies, binds, slightly leavens then bakes up as part of the actual base of the brownie itself. Emulating this takes an expedition deep into the innards of brownie science. It took me a number years of practice coupled with some failures to successfully perfect the brownie. This vegan brownie recipe was a cinch to make. I used peanut butter, flaxseed meal with water, almond spread, honey, vanilla extract, salt, spelt flour, apple cider vinegar, and carob powder. I didn’t use these ingredients in that particular order but you get my point. The process consists of a luxurious batter that comes together in the bowl of your food processor. That’s right. No hand labor is required for this recipe. Just dump and whirl. Let your food processor do all the hard work for you. It’s as easy as it gets. However, I strongly suggest that you don’t over mix your batter or you will get tough brownies; not the gooey dense texture that we all love. These indulgent, fudgy vegan nutty brownies with a rich peanut butter flavor guarantee satisfaction. They are just pure, healthy decadence at its finest. They can be gourmet brownies without the excess amount of sugar, oil, butter, and eggs. Healthy treats are just as enjoyable and each bite of the brownies say a mouthful. 1 3/4 cup of spelt flour or oat flour (you can use the same amount of rinsed and drained canned black beans for a gluten-free option). Preheat the oven to 350 degrees F . Lightly grease an 8×8 baking pan. Once the flaxseed meal has rested for 5 minutes, place all ingredients except for chocolate chunks in a food processor. Pulse for a few minutes. Scrape down sides as needed. If the batter is too thick, slowly drizzle in some water. Fold in chocolate chunks. Transfer mixture to a baking pan. Bake for 25 to 30 minutes in the preheated oven or until the top is no longer shiny. Let the brownies cool for at least 10 minutes before cutting into squares. 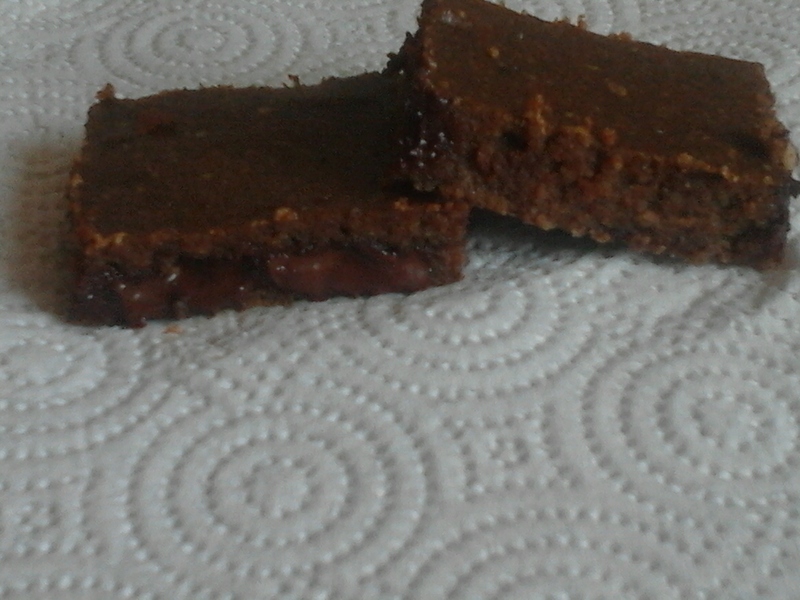 This entry was posted in Desserts, Sugar-free, Vegetarian and tagged gluten-free option, gourmet brownies, regular brownie recipe, soy-free, vegan brownie recipes. 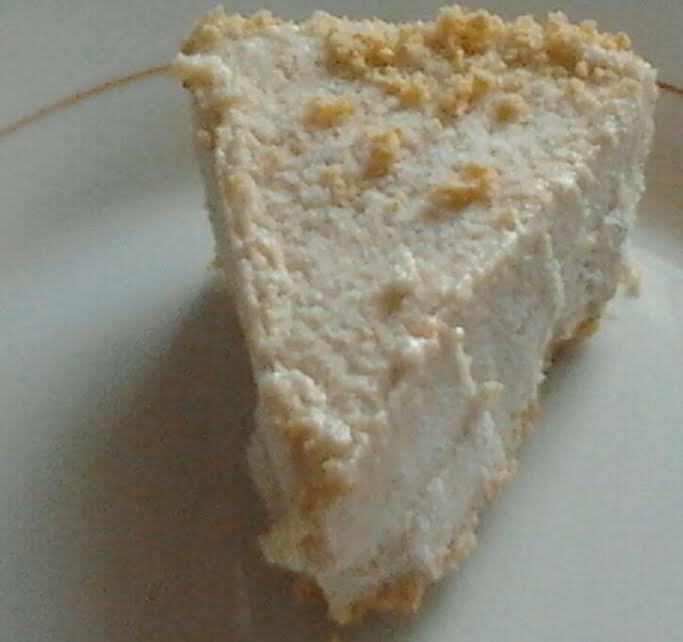 A lot of vegan desserts, especially vegan cheesecakes are laden with soy. I generally don’t have an issue with that but sometimes I do a appreciate a soy-free option every now and then. So can a lot of people in my family. I made this cheesecake once before with my mother who got the recipe off of a magazine. It has been buried for years which I didn’t understand why since everyone seemed to enjoy it. Only in recent times have I decided to revive this recipe with my own twist. I only remember pineapples being the main ingredient in this dessert. It also had some eggs but I wanted to experiment without them. I made this dessert for a friend who recently gave birth. No one couldn’t believe that this cake lacked cream cheese, let alone soy cream cheese. The texture and the flavor are very similar. The only difference I can think of is that this version has lower fat content due to the crushed pineapples. If you want to knock the fat content and sugar content further down, leave out the pie crust. Not only will you have a dessert that is soy-free, and sugar free, but you will have a gluten-free cheesecake as well. That is your option to use if you choose to. If you want a pie crust and a gluten free dessert, create your very own gluten-free pie crust. I always say less is more and minimizing the sugar can have a great impact on the cake. Plus you have enough sweetness derived from the pineapples. I highly recommend you use fresh pineapple for this soy-free dessert recipe because the flavors are more natural and taste better. You can use canned crushed pineapples if you can’t find fresh pineapple. I nearly neglected to mention that I include a red berry sauce recipe as a topping for this cheesecake. If regular cheesecakes have them, then why can’t this one have any? Preheat oven to 350 degrees F. Place ingredients in a blender or food processor. Blend till completely smooth. Pour into prepared pie crust or spring form pan. Bake for 45 minutes. While the cake is baking, place berries and water in a medium saucepan over medium low heat. Add the remaining ingredients. Taste and adjust sweetness as desired. Mash the berries and heat until bubbly. Pour red berry sauce over cake and bake for another 15 minutes. Turn oven off and leave cake in there for an hour. Remove cake from oven and let it come to room temperature. Cover and chill cake before serving. 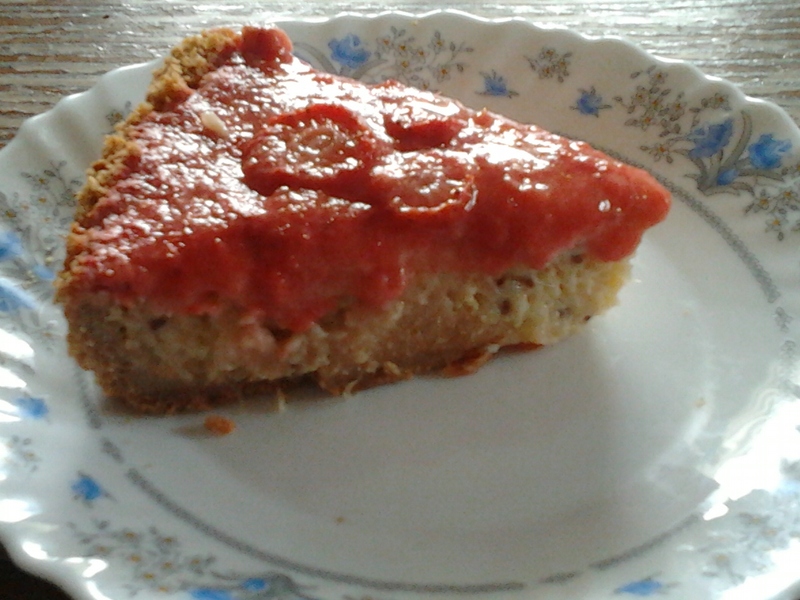 This entry was posted in Desserts, Sugar-free, Vegetarian and tagged red berry sauce recipe, soy-free, vegan cheesecake recipe. 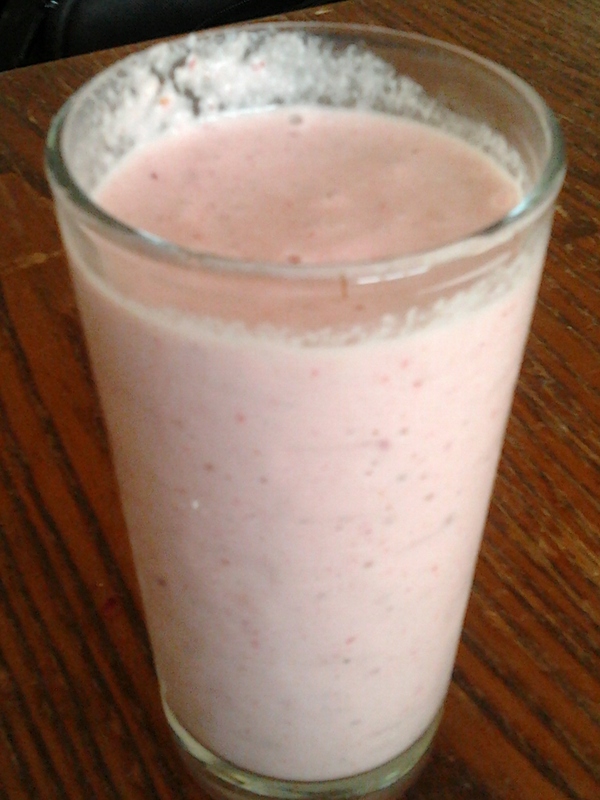 I have been having an uncontrollable hankering for smoothies. I have also been looking for ways to diminish my consumption of coffee. As much as I love drinking a hot cup of Joe every morning, I curse the day I’ve became hopelessly addicted to coffee among other heavily caffeinated drinks. I have been searching for alternatives and found ways to curb my addictions in the most healthy and effective way. Smoothies usually do it for me. Aside for their rich and naturally fruity flavors, smoothies contain a lot of nutrients thus reducing the guilt factor. Every now and then, I would throw some yogurt and fruit in the blender and whip up a smoothie for myself since I am the only smoothie drinker in my family. I decided to try a non-dairy and soy-free version using ripe bananas, mixed berries, nut butter, nuts, and ice. You can use flax seeds and chia seeds as well if you like. You don’t necessarily have to limit yourself to the ingredient I used for this vegan smoothie recipe. You can use peaches, nectarines, pears and other tropical fruit if you don’t like berries. Healthy smoothies are satisfying and can keep you energized until lunchtime. This banana mixed berry nut smoothie is by far one of the best soy-free and non-dairy smoothies I’ve ever tasted. You can count on me making these breakfast drinks more often. I just hope I don’t wear out the moter in my blender when doing so. While I am not ready to permanently put away my coffee maker, smoothies may be my latest morning addiction. This entry was posted in Breakfast, Drinks, Gluten Free, Vegetarian and tagged banana berry nut smoothie, dairy-free, healthy smoothies, non-dairy smoothies, soy-free, vegan smoothie recipe. I’ve heard of soy cream cheese but cream cheese made of nuts is a recent revelation to me. The concept behind it was intriguing enough for me to want to try to make my own. Plus I am always looking for non-dairy soy-free alternatives and macadamia cream cheese was the solution for me. Although made from macadamia nuts, this spread surprisingly has the texture and consistency to that as regular cream cheese. I saw many variations how to make macadamia cream cheese. Some recipes require probiotic powder while other recipes may ask you to soak the nuts at least 4 hours in advance. Some people like to add fresh chopped herbs, especially chives for a finishing touch as they would on dairy cream cheese. I prefer mine natural. While macadamia nuts are the highlight of this recipe, you can use cashew nuts as a cheaper alternative. This cream cheese is perfect for vegans, celiacs and those suffering from lactose intolerance as well. This morning, I spread some of this nut spread over laffa, topped with peach slices, sprinkled a dash of cinnamon and toasted it. It was absolutely sublime! Plus it was a change of pace of my usual yogurt and oatmeal routine (I have nothing against yogurt and oatmeal. Every now and then, I have a relentless itch to try something “different”). This macadamia cream cheese recipe is a 24 hour process unlike most of my speeded spreads and dip recipes. The results are worth the effort and wait though. This nut spread makes a great vegan and soy-free filling for a cheese cake or Danish. Soak your macadamias for 2 hours. You don’t need to do this step but it softens them up a little and makes blending easier and the end result creamier. I usually soak mine if I have time. 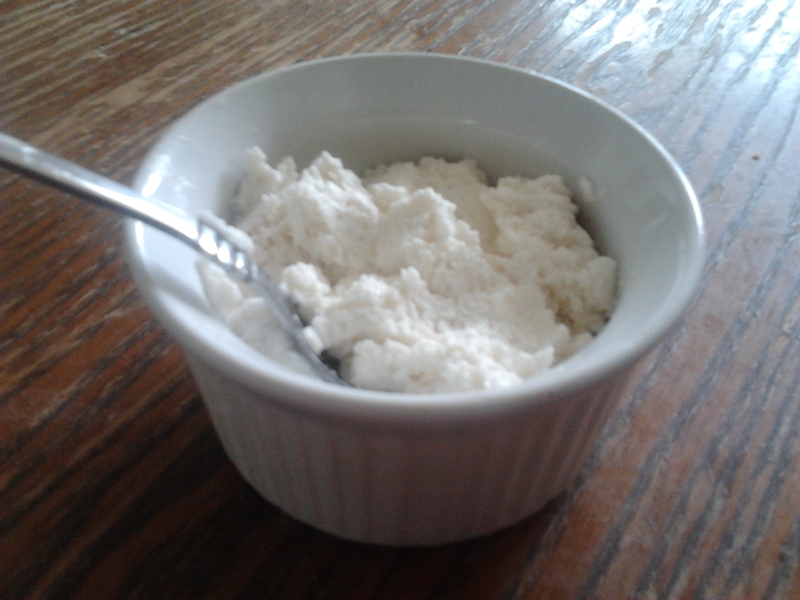 Once you are happy with the flavor, remove from the cheesecloth into a bowl, season with any extra salt to taste. This entry was posted in Gluten Free, Vegetarian and tagged Cream cheese, Macadamia cream cheese, macadamia nuts, soy-free. I promise to post a meat version at some point in the near future. In a large skillet heat 1 tablespoon oil over medium high heat. Stir in onions, garlic, mushrooms, scallions, and bell pepper. Cook for 3-4 minutes. Add cumin,celery seeds, and paprika and cook for 30 seconds. Remove from heat and stir in spinach. Once the vegetables have been cooked, place them in a food processor along with the chickpeas and steamed vegetable mixture and mix well till smooth. Place vegetable mixture in a bowl and add some flour,bread crumbs,zest,salt, and pepper. Mix well. Add more flour if necessary. Shape each mixture into 10 disks and place them on a plate. Allow them to chill for an hour. 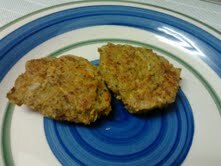 Heat 2 tablespoons olive oil in non-stick skillet and cook veggie burgers until golden on each side. This entry was posted in Vegetarian and tagged broccoli, carrots, cauliflower, cremini mushrooms, Garlic, hamburger buns, onions, soy-free, vegetables, vegetarian, veggie burgers.